FRIDAY 22ND SEPTEMBER 2017 IS DID AWARENESS DAY. I will focus on Developmental Language Disorder (DLD) and the learning of vocabulary. Until recently, it was known as specific language impairment (SLI), and the term was used to describe children who struggled with language where there was often no other cause, such as deafness. Helen and Elisabeth (speech therapists from speech blog UK) have written a blog on how to support children with DLD. Jude Philip is reflecting on “DLD and older student – unraveling the knot” and you can find her blog here. Let’s start from the beginning….How do children learn words? proceeds rapidly throughout their development. 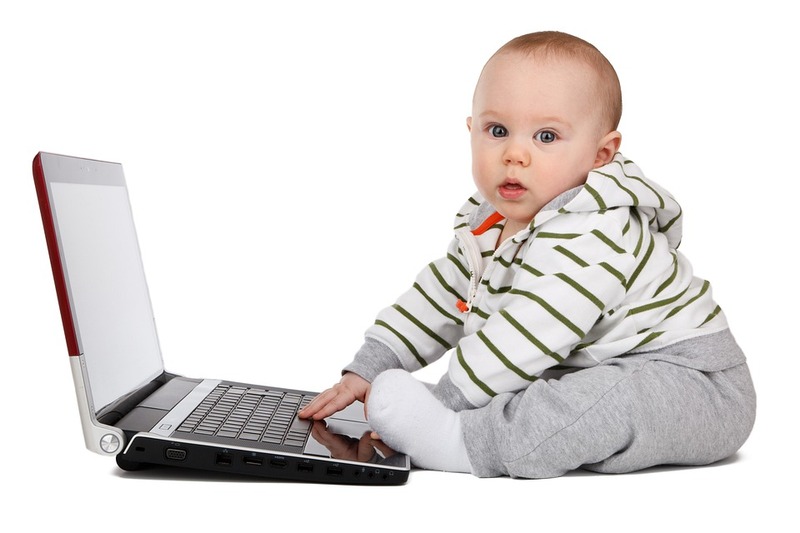 Carey (1978) estimates that a typically developing six-year-old child has approximately 14000 words at his/her disposal, 8000 of which will be root words. Vocabulary development continues throughout childhood, adding a further 3000 new words per year (Clark, 1995). Words are the building blocks of language. Word knowledge develops early in infancy and before long, children are able to produce and comprehend many thousands of words, using their vocabulary knowledge flexibly and creatively to communicate with others. The child who is learning language identifies the pattern of the words, stores them in the long term memory and then fixes that word when it is heard several times. Words are a crucial component of comprehension, and therefore it is not surprising to find that children who struggle with language during development often have difficulty dealing with words. This is seen most obviously when a child has an impoverished vocabulary: not knowing the meaning of a particular word has clear and detrimental implications for comprehending language which contains that word. A word contributes to the meaning of a sentence but at the same time, the meaning of the word is in part a product of the sentence and context in which it appears. Also important is the ability to retrieve word identities to provide the meaning the listener needs in a given context and to do this rapidly, as the incoming speech stream unfolds in real time. Chiat (2000) points out that this is a daunting task for a child and the relevant information is not neatly packaged, but rather needs to be extracted by the child. In order to define his/her hypothesis of a new word’s meaning the child must retain all aspects of the initial mapping until he/she next encounters the word. This places a great burden on long-term memories for all the relevant linguistic and non-linguistic contexts. Children with DLD start as “late talkers” acquire their first words later than expected and often have vocabulary difficulties throughout development. Studies showed that deficits in phonological short term memory contribute to their slow development of vocabulary. Children with DLD make less progress with vocabulary than with other language areas (Haynes, 1992). Deficits are in depth as well as breadth, this suggests that the quality of word knowledge is different in children with DLD, not just the quantity of words known. They need more exposures to new words than children who are typically developing. They frequently experience difficulties with understanding vocabulary and are subsequently academically disadvantaged. priority to establish how best to address vocabulary difficulties. 450,000 words in English- largest vocabulary any language in use today• Students must learn 3,000 words per year by the age of 8. 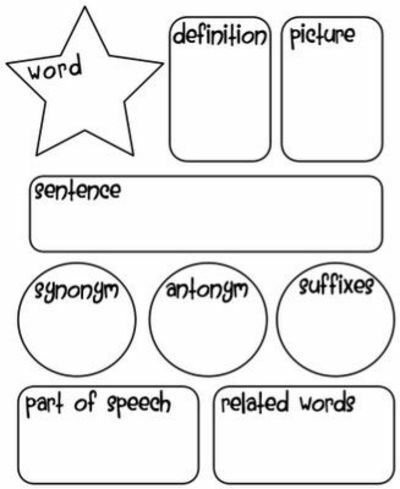 Directly by teaching words explicitly, using word learning strategies, and becoming word conscious. 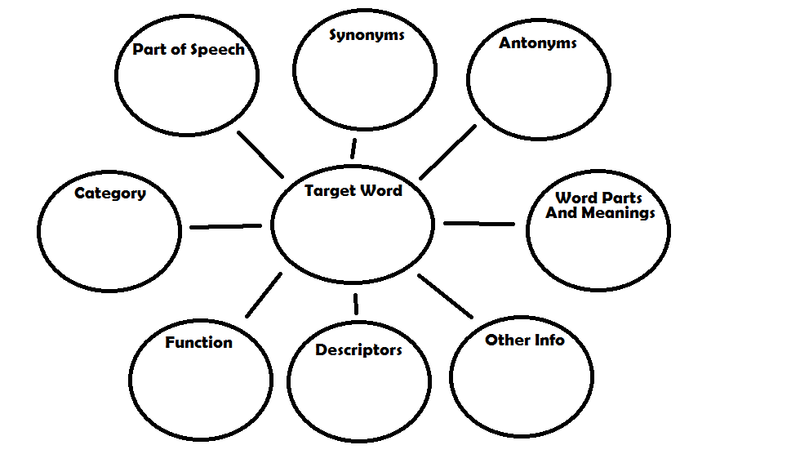 Word Aware Programme is a structured whole school approach to promote the vocabulary development of all children. Focused on whole class learning, the resource is of particular value for those who start at a disadvantage – including children with Developmental Language Disorder, Special Educational Needs and those who speak English as an additional language, but it will extend the word learning of all students. The Expanding Expression Tool (EET) Kit is designed to be used by teachers, parents, speech-language therapist and other specialists to support academics. As a mnemonic device, it provides visual and tactile information which facilitates improved language organization. The kit itself is designed to allow you to follow a hierarchical approach taking student’s expression from words to paragraphs to reports. Therefore, it can be used by a variety of ages.